Thank you for your interest in Layers! The text and images below are provided for your use and may be redistributed. Evaluation copies of the app are also available by request. Feel free to email me at bengotow@gmail.com for more information. Check out a complete description of Layers 2.0 here. All of the screenshots and press materials below are for version 2.0. 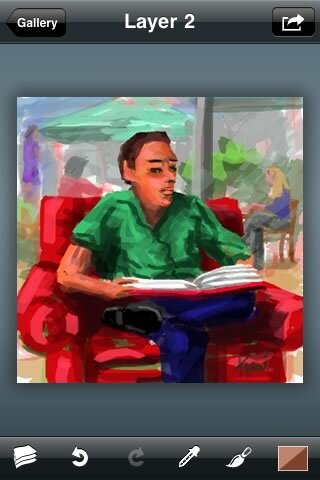 Our latest iPhone application opens up a whole new creative space with natural media painting tools and up to five layers in each drawing. 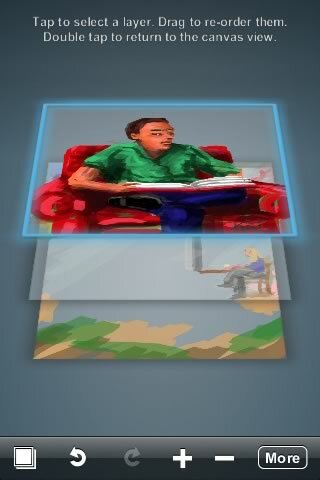 Add a layer from a photo to trace your subject, or add multiple layers to separate different parts of your work. Each layer is fully transparent, and a unique 3D interface allows you to create and rearrange them with ease. When you're finished, you can export your work to a Photoshop file with layers intact, or sync with the desktop viewer to generate a high-resolution copy or replay your brush strokes to show off your talent! 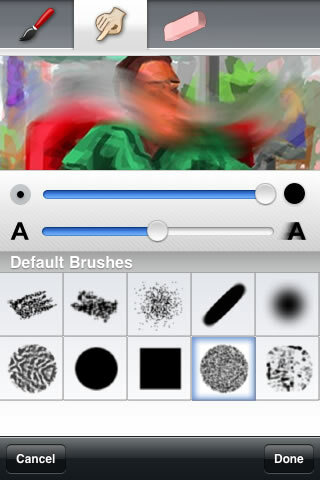 Layers offers a balanced set of painting tools that will appeal to seasoned artists and doodlers alike. 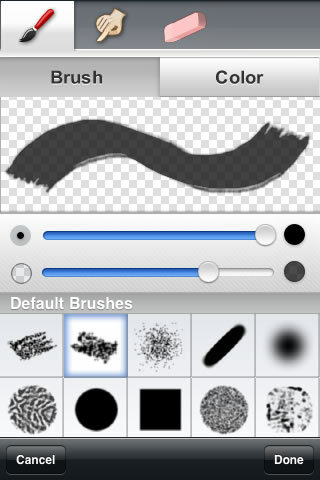 With eight high-quality brushes, an eyedropper, and an eraser - Layers provides the tools you need to create great art. 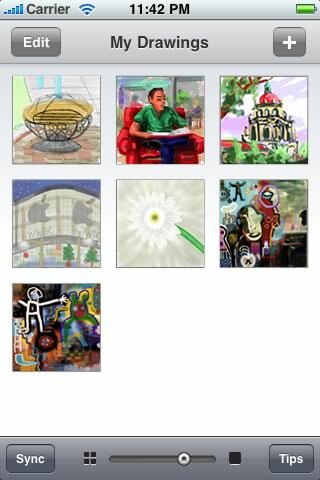 It's intuitive interface has been built around the workflows of popular iPhone artists. Toolbars on the screen hide as you work and can be brought back with a simple shake - so your tools are never far away. 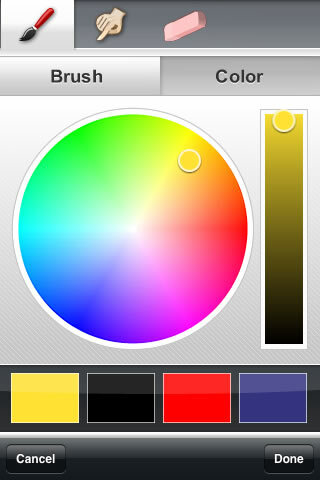 A full-screen color picker provides an infinite range of brush colors and transparency is fully supported throughout the app. Layers takes undo and redo seriously. It keeps a 30-level undo stack as you work, and saves your undo history when you stop drawing - so it's easy to pick up where you left off! Every action is undoable, so you never get stuck trying to paint over a mistake.